The world has gone to online shopping for everything from clothing to food to electronics to medicine. Going online to shop is as natural and easy today as walking into a department store to shop was fifty years ago. Only someone who lives under a rock would ignore the potential profit of marketing and selling online. It is one of the most engaging and cost effective ways to bring products and services to the attention of millions of consumers all at the same time. The digital environment, though, can be a hard and competitive place when it comes to advertising a cannabis business. Most of the premium channels are unavailable for recreational and medical marijuana items. And there is still a deep seated prejudice with many well established vendors when it comes to working with any company that is connected with the cannabis business. Although over thirty states now have some kind of permissive cannabis laws on their books, the uncertainty of how the federal government is going to eventually react to state laws makes even the most liberal and far-sighted consumers leery about purchases, not to mention the nagging fear that if and when hackers get a hold of a purchasers private information it won’t lead to perpetual online blackmail or worse. And operating in a very tight age-restricted market limits marketing options to the point where some agencies won’t even bother with cannabis accounts — there’s just too many hoops to jump through to meet all the compliance requirements. Marketing cannabis products online is a real minefield — there’s no doubt about it. But for the entrepreneur who is determined to enter this potentially lucrative field, there are ways to deal with all of these hurdles. 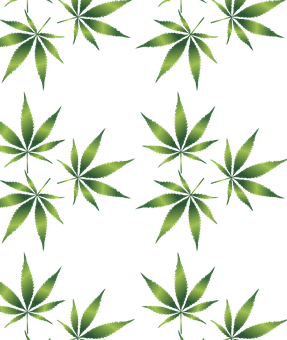 Probably the best way for most business people just starting out in the marijuana field to get the dreams up and running is to use an outside agency for their cannabis marketing and sales. An agency that is already experienced in and knowledgeable about such things as packaged buying online; the most effective ways to use search engine optimization; basic marketing techniques with a proven track record for cannabis products; and, of course, the best way to design a website and how to take advantage of the latest technology. There are cannabis-friendly networks out there that are willing to work with any legitimate company. But they don’t exactly advertise their cannabis connections very openly, so getting an agency that already knows the best sites to deal with is a real timesaver. A basic organic search is often the only way to get a cannabis product fully integrated on the internet. Someone who knows how to finesse key words to promote cannabis items is going to be an invaluable resource person. Social media, of course, is full of marijuana and cannabis sites and sounds — but which are fake and which are real? An agency that has already dealt with the majority of social media buyers and seller will know who is legit and who is just, pardon the pun, blowing smoke. So keep an open mind about outsourcing online cannabis marketing — it makes sense to pay the experts to bring in hard-to-find customers.